Oh, I love your post! 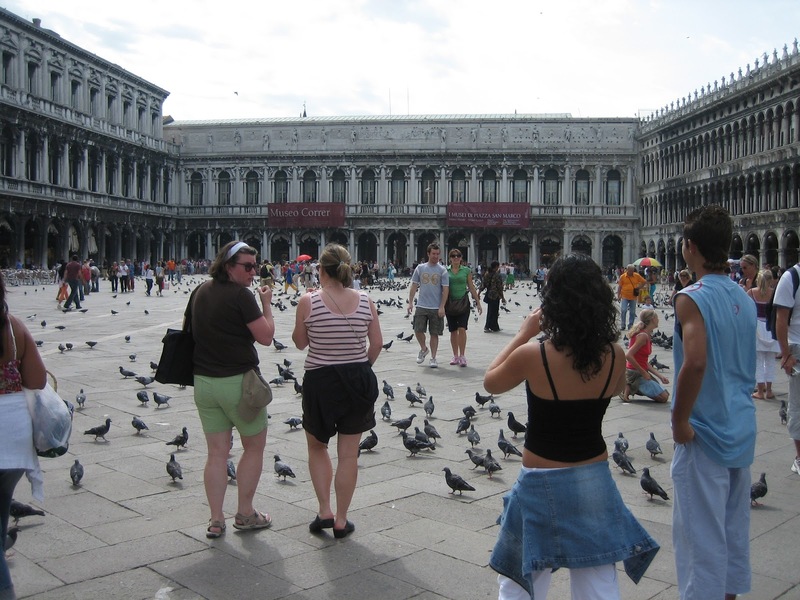 You've added it to it so much with your photographs (the last time I was in St. Mark's Square was as a child of 8...or maybe also once in my 20s) as well as the background of the books. We're interested in the same ones I can see, especially the The Comfort of Strangers. I loved Don't Look Now by du Maurier, and I'm also hoping to read Death in la Fenice. So glad you're joining in with us, and thank you for posting about it here. Oh, I love participating in Paris in July and so this is a good another chance to read about a specific location! bellezza - thank you! The McEwan one is so short too. I haven't read any duMaurier, so this might be a good time to remedy that. I hated the birds at St Mark's Square! ugh, so gross. marg - that's exactly what I was thinking! I loved Paris in July as well. I was looking at this challenge last night. I haven't decided if I am going to do any reading challenges next year, but I might try to join in! Kailana - I like the one month challenges. They seem easier to manage. Nan - delightful! I never thought I would get to Europe, so never say never. 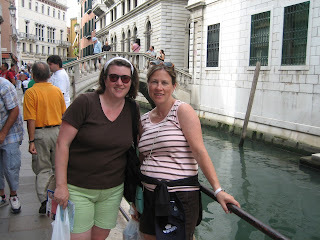 I didn't ride in a gondola when I was there. I figure it was supposed to be romantic, so if I ever go with my husband, we'll ride, but it didn't seem right with my sister! All those books look great, happy reading. I love the shots of you in Venice! I seriously don't know how you're able to manage all the challenges... Impressive! This one looks especially interesting, plus any time I see a Du Maurier book I have to stop and pause! The McEwan book looks good too. 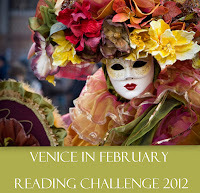 I'm always drawn to Venice books - might have to sign up!